LIKE EVERY GREAT STORY, OURS IS ONE OF HARDSHIP, PERSEVERANCE, SPIRIT AND OF COURSE, TRIUMPH. Founded by Louise Duff almost 30 years ago, Brilliant Logic has grown from a small consultancy firm with big aspirations into a leading boutique management, marketing, public relations, graphic design and website agency with an impressive client base spanning iconic Australian events, International heavyweights, not-for-profit organisations and government bodies. We pride ourselves on providing out-of-the-square solutions, meaning we take the time to ensure that every campaign is perfectly tailored to fit each client’s need. Our passion to craft individually styled outcomes is coupled with a commitment to deliver unrivalled customer service (with a smile). Our team of marketing, media and design specialists will bend over backwards to produce highly creative and strategic campaigns, offering something that the other agencies cannot – an all-hands-on-deck, think tank approach to PR, marketing, websites and design. We are working on those 1,000 paper cranes, but in the meantime, we are trying to make wishes come true in other ways. No, we haven’t constructed an in-house wishing well, but we have built strong philanthropic relationships with a number of worthy community organisations. Brilliant Logic enjoyed a long-standing relationship with The Salvation Army for many years, providing media consultancy services pro bono to the organisation. Through our work with The Salvos, we formed a strong working connection with the Oasis Youth Support Network, which saw us manage the Annual Oasis Ball for five consecutive years to raise invaluable funds for this cause. Our team is proud to work on a pro-bono basis with the Charlie Teo Foundation, an organisation that does fantastic work raising money for brain cancer research. We assisted with event management and graphic design for the Foundation’s 2018 charity event, Spend Christmas with Charlie. Brilliant Logic also supports Thread Together, a not for profit which provides new clothing and dignity to people who need it most. We give our time to Thread Together to assist with graphic design and public relations activities. Our backgrounds in media, marketing, management and graphic design don’t stop us from giving back to the community – regularly donating our time to support local groups and charities that need our help. We proudly work with McDonald’s across the country on a range of management and facilitation activities. St Hilliers is not just about bricks and mortar. It is about the people who deliver the organisation’s life-changing projects and those that benefit from the futures made possible. For 14 years Brilliant Logic was engaged to maximise media coverage for Australia’s largest free public event – Woolworths Carols in the Domain. We have worked with the iconic Harbord Diggers for close to five years, providing support in areas including public relations, marketing, social media and graphic design. Considered one of the biggest events in the hotel industry calendar, Brilliant Logic is proud to lend event management expertise to the 2016 and 2018 Hotels Have Hearts Gala Dinners. Brilliant Logic works with Australia’s largest service provider for people on the autism spectrum, Aspect, across public relations, media management and communication support. We support the Central Coast’s largest private landholder, Darkinjung Local Aboriginal Land Council (Darkinjung LALC), with a myriad of media and communication services. We’ve worked with reputable development leasing agent Precinct Retail to create a range of sales collateral to support the marketing of a number of top-tier property and retail developments in Sydney. Brilliant Logic was engaged by luxury over 55s living development Watermark Freshwater to develop a targeted public relations, community engagement and communication plan to assist with promoting the development. Brilliant Logic is proud to have worked with Ronald McDonald House Westmead across the areas of social media, communication, marketing and graphic design. The House provides a home away from home for families with seriously ill children receiving treatment at The Children's Hospital at Westmead. Brilliant Logic worked to help share the remarkable stories of families residing in the house. After protests caused an initial delay, we were retained to work alongside the Department of Premier and Cabinet on the scuttling of the Ex HMAS Adelaide on April 13 2011. Our role was to facilitate and re-engage local, state and national media for the scuttle. What resulted was highly positive national exposure for the event across all target audiences and media outlets. Brilliant Logic was proud to work with St Vincent de Paul Society NSW on two major projects in 2016 – the Hotels Have Hearts Gala Dinner and the Vinnies CEO Sleepout in Sydney, delivering event management and communication/fundraising support respectively. Both events are pivotal to the fundraising efforts of St Vincent de Paul Society NSW, which delivers a range of welfare and support services to community members. We also enjoyed working with Vinnies on the 2018 Hotels Have Hearts event. 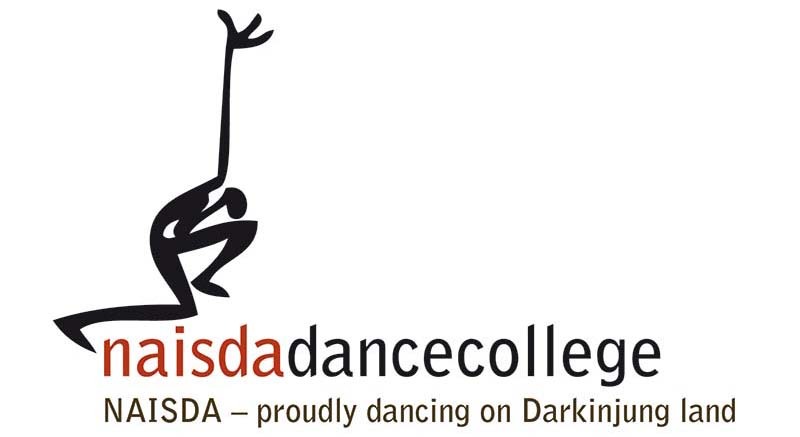 Established in 1976, NAISDA Dance College is Australia’s premier Indigenous training College with a proud tradition of producing the next generation of Aboriginal and Torres Strait Islander performers. Brilliant Logic is currently working with NAISDA in the strategic planning and roll out of the College’s 40th Anniversary marketing – a momentous event for this iconic institute. In 2012 and 2013, Brilliant Logic was engaged by The Salvation Army to work on the national campaign that would drive donations for its annual Christmas Appeal. In addition, we were engaged to lead the Salvation Army’s 2013 Red Shield Appeal campaign for the Australian Eastern Territory. Brilliant Logic was proud to work with Audi Australia on the launch of its new dealership Audi Alto Central Coast. We delivered a marketing strategy which included public relations, event management and community partnership building which helped ensure the successful launch of Audi in the local area.